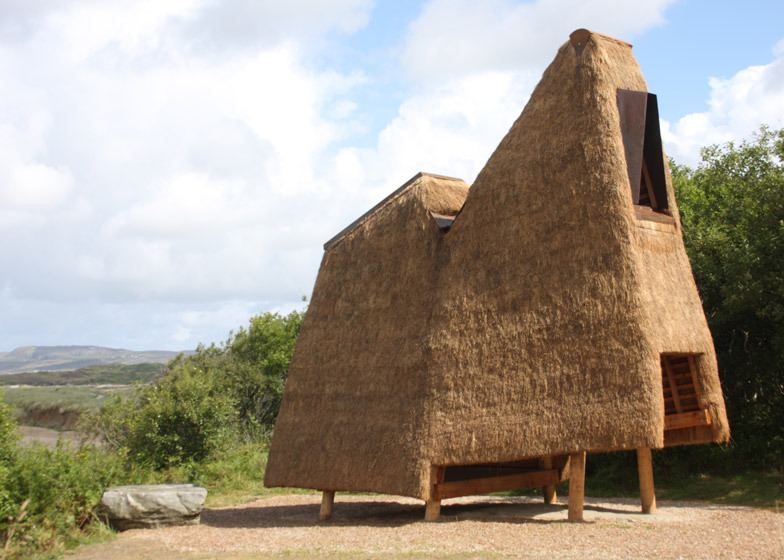 Artist Emily Mannion and architect Thomas O'Brien have created a thatch-roofed pavilion overlooking the sea and sand dunes on the edge of a forest park in Ireland (+ slideshow). 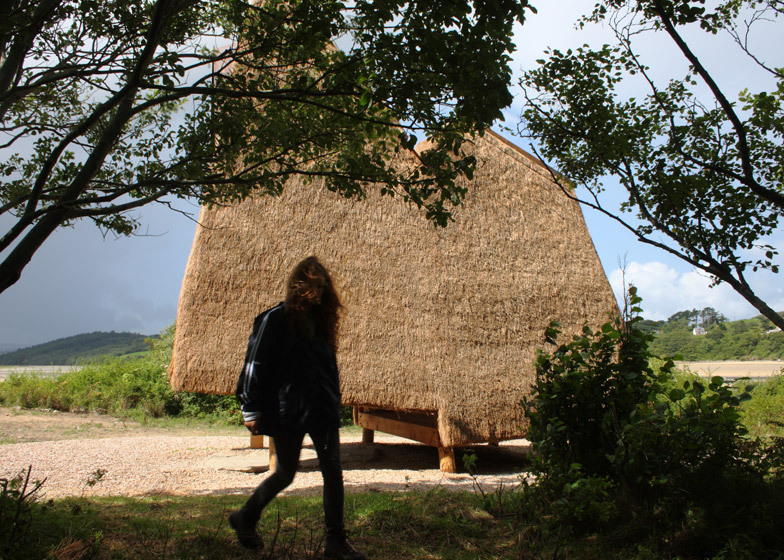 Jeffry's House was Emily Mannion and Thomas O'Brien's winning entry to a competition brief set by the Irish Architecture Foundation, which called for proposals that demonstrate how architects can create structures that enhance their natural surroundings. 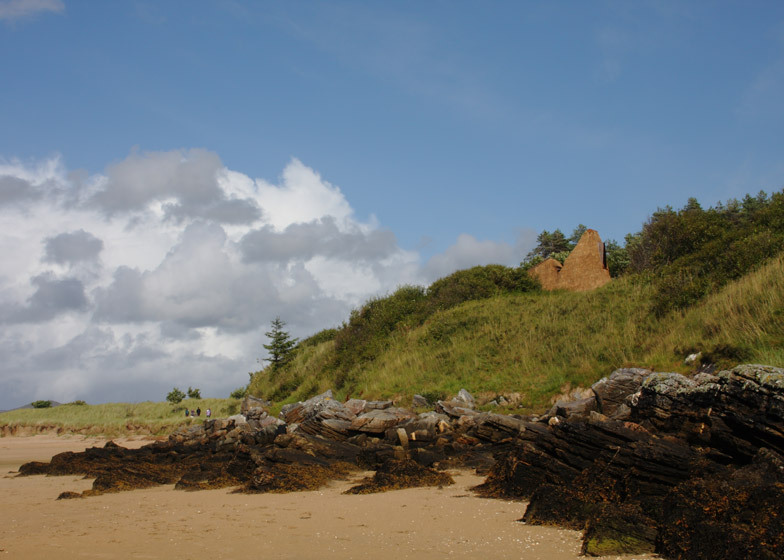 The folly is located on top of a rocky cliff in the Ards Forest Park in the northern county of Donegal, close to the site of a former lake called Jeffry's Lough from which it takes its name. 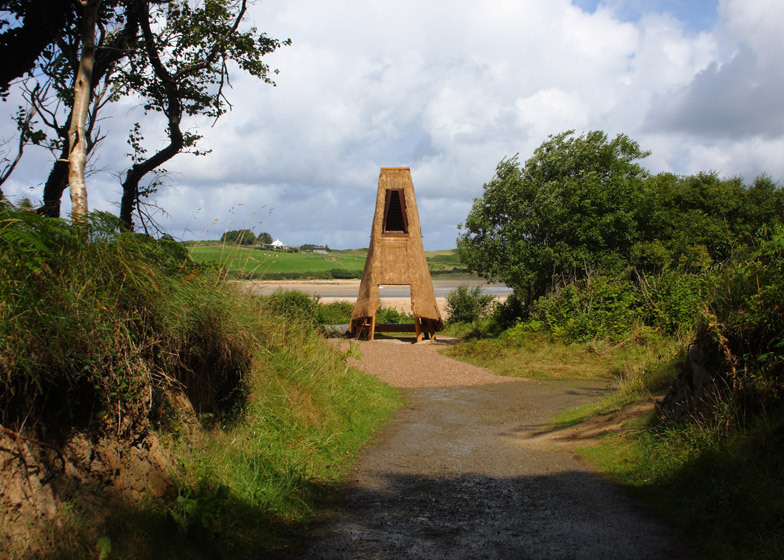 An angular timber-framed structure supports a viewing platform looking out across an expanse of sand towards hills on the opposite side of the adjacent bay. 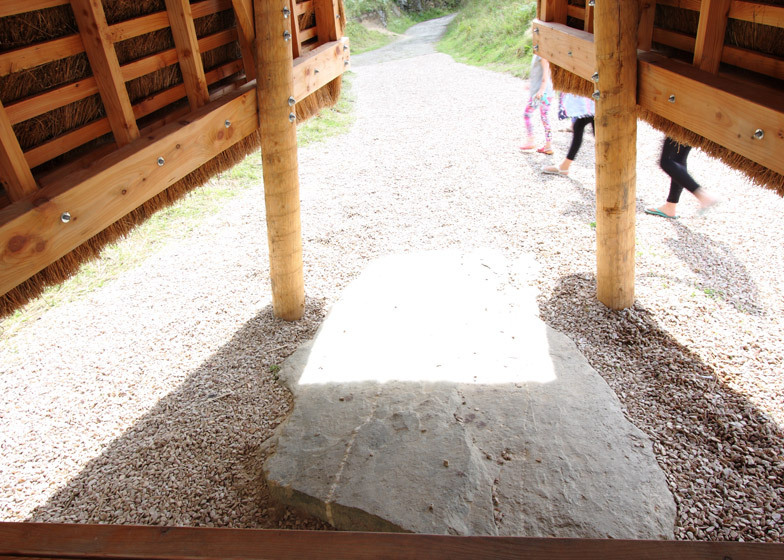 The platform is raised above the ground on wooden piles to allow natural vegetation to grow back underneath it. 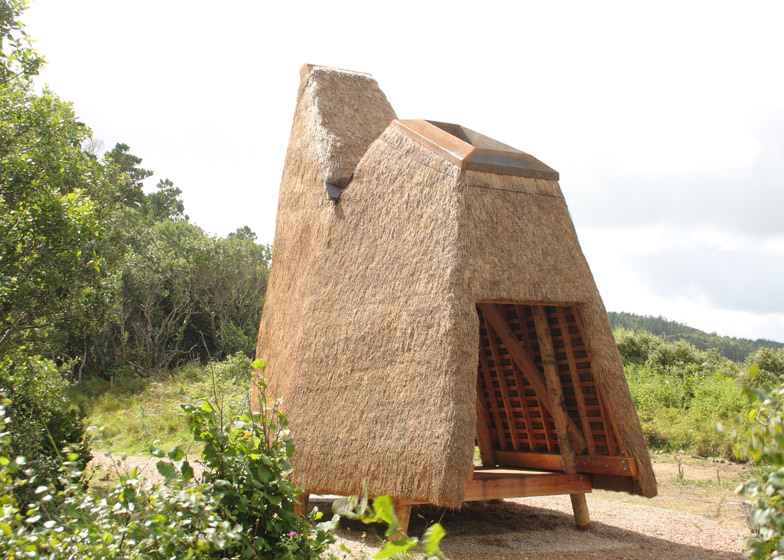 The structure is protected from hostile weather by a steep thatched roof that also helps to connect it with the surrounding forest and softens the edges of the surfaces. 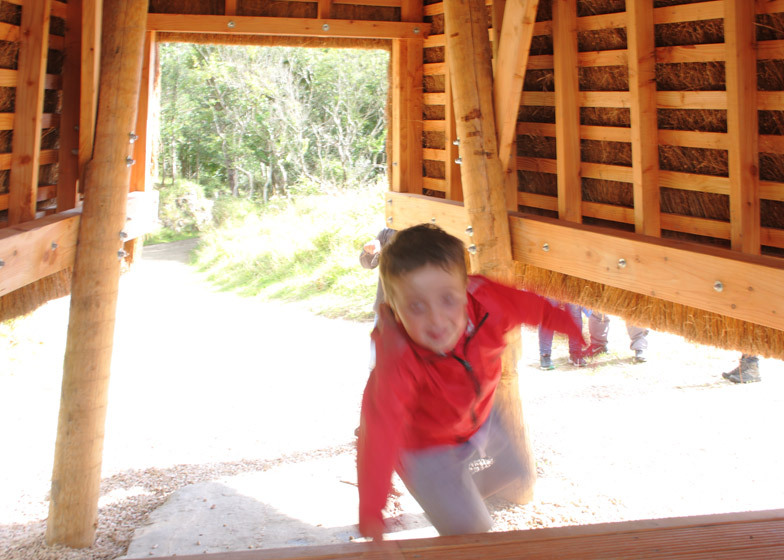 Openings at either end allow views straight through the shelter, while holes in the pitched roof sections alter the quality of light that reaches the interior throughout the day. 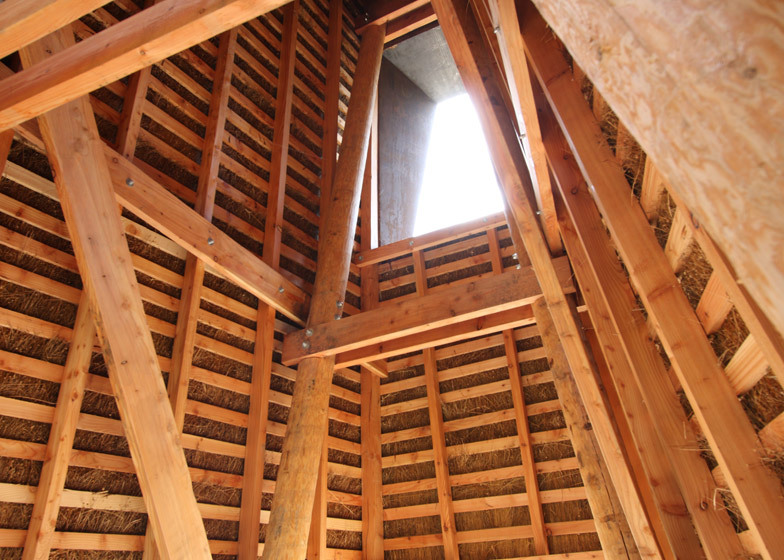 The largest gap in the roof frames a view of the sky and rain that is allowed to fall onto the decking. An opening set high up in the rear elevation is protected by a folded steel hood and is intended to resemble a church window that only lets in light at certain times of the day. The narrow elevation minimises the structure's presence when viewed from across the nearby bay, while the long facade is designed to invite people in a local playground to come and explore it. The project is based on a narrative created by the designers around the invented character of Jeffry – a young boy who represents "the lost child in all of us, the version of ourselves that we left behind to become adults." 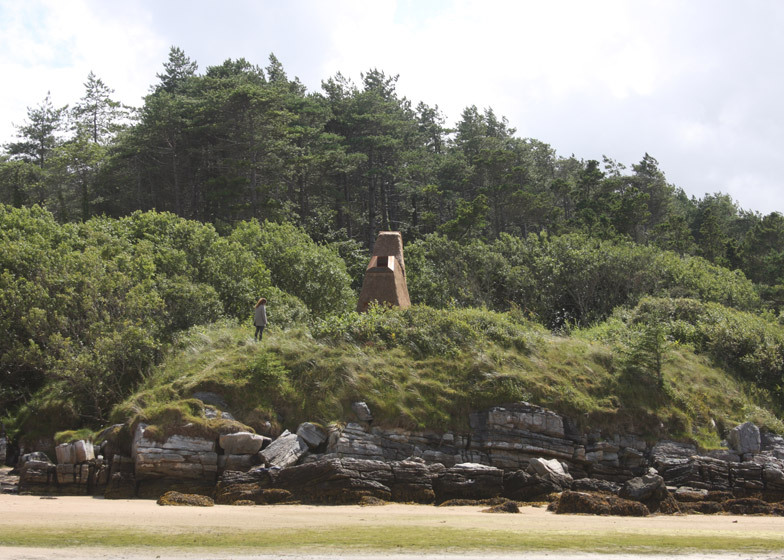 The folly symbolises a magical place Jeffry might have played in as a boy. 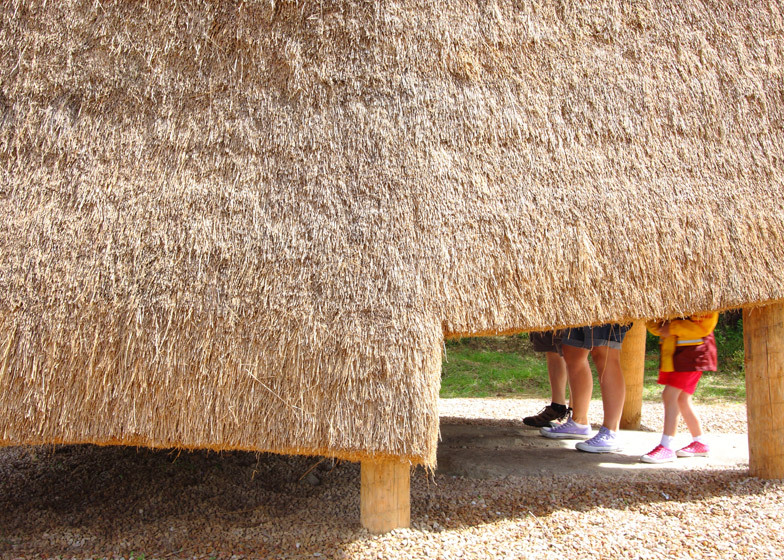 "Jeffry's House is a respite from the elements and from the everyday," said the designers. "It has portals for the universes of the sky, the sea and for the earth. It is for children and for the child in us." 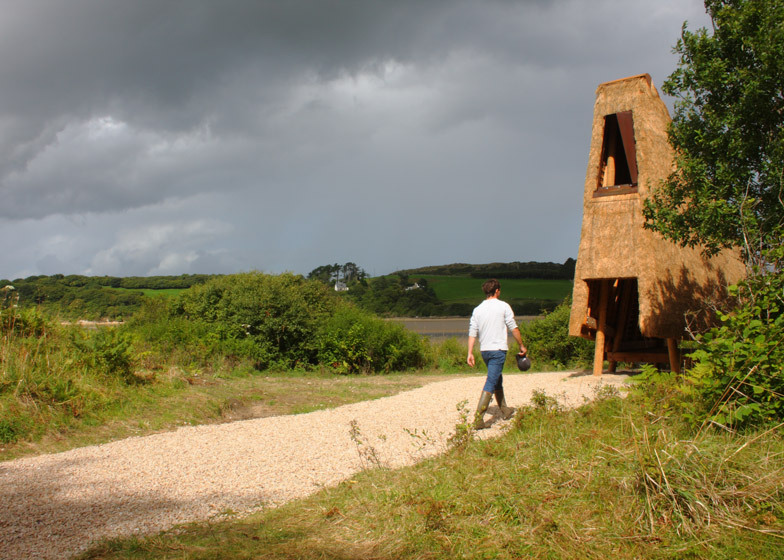 Mannion and O'Brien designed and constructed the folly on the site, working with local thatcher Ivor Kilpatrick on the flax thatching that covers the larch frame. 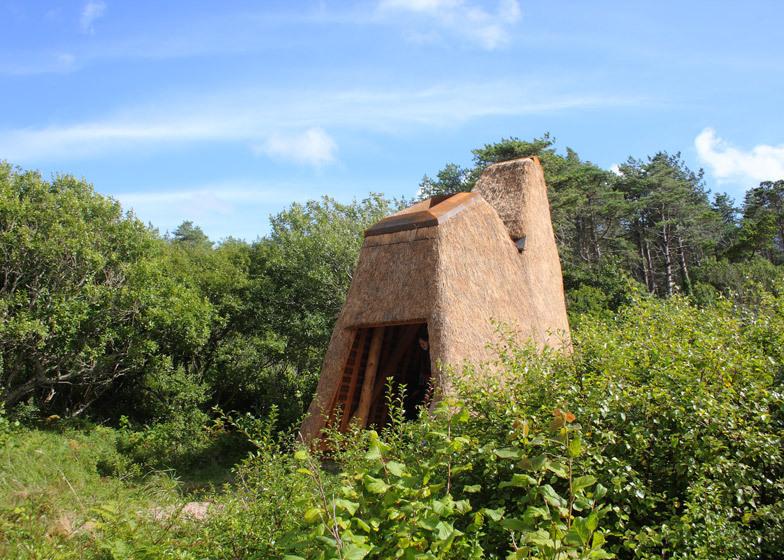 Jeffry's House is the first architecture installation to be implemented in an Irish forest park, and was commissioned by Donegal County Council in partnership with the Irish Architecture Foundation and Coillte, the country's national forest management organisation. 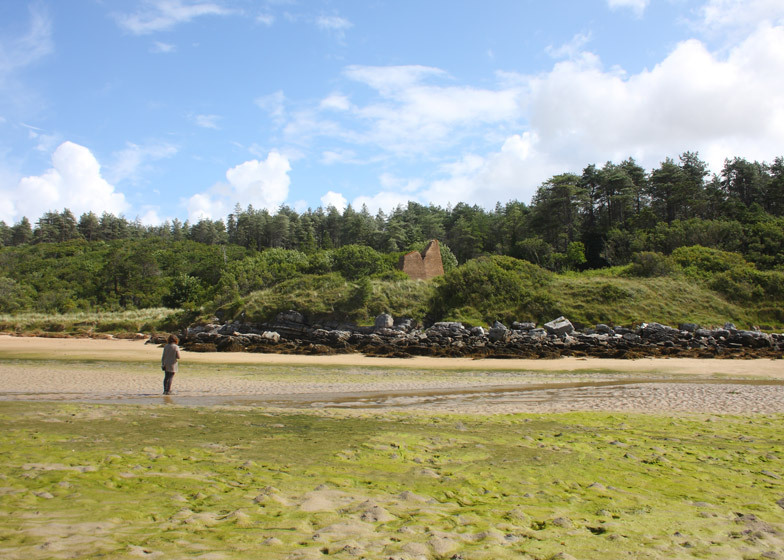 It launched last month as part of the annual Earagail Arts Festival, which celebrates culture in the county of Donegal. Photography is by Carla Killeen.